Google’s recent revelations that a majority of its searches comes from mobile devices comes as no surprise with more than 80% of the world’s population having access to smartphones. But what did surprise a lot of people was the fact that a significant part of those queries were voice based.For a long time, voice search flew under the radar, popping up only on iPhone ads or when you were trying to impress somebody with what your phone could do. But behind the scenes, this technology was slowly, and quietly, getting better, more powerful and smarter – really smart. Enabled by the remarkable advancements in artificial intelligence, natural speech recognition has grown by leaps and bounds. And since we’ve crossed that barrier and machines can truly understand what we are trying to have them do, just through speech, the possibilities are now endless. While this does help us imagine a world filled with intuitive robots, living and working alongside us, as a more immediate effect, today’s voice search technology also seems to carry enough punch to revolutionize the way we use search engines and how we conduct our daily affairs on the internet. Voice search in smartphones or interactive home assistants is usually powered by voice recognition software that invites users to speak out their queries and commands. These are recognized and the results are either performed, spoken out using the device’s speaker or displayed on the screen. While it’s still a little too early to ring the death knell of the keyboard, voice search can no longer be ignored. 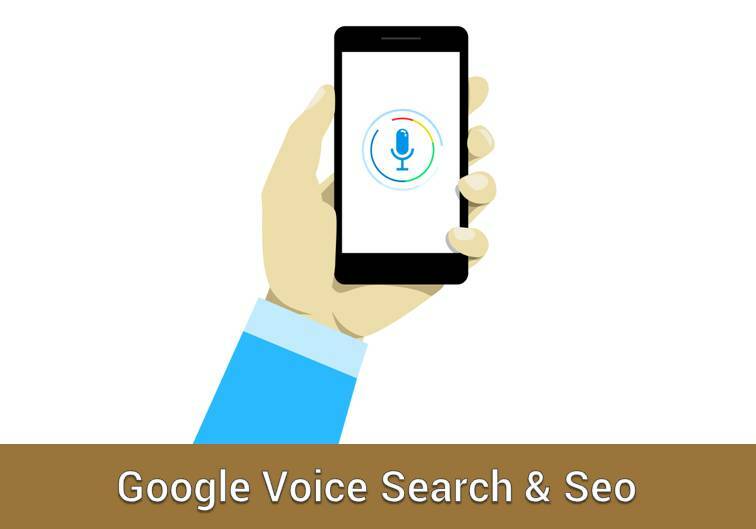 Considering how typed out queries and voice queries come out significantly different, even without the user’s knowledge, the rise of voice search technology calls upon SEO experts to reconfigure and redefine their strategies to make them more responsive and optimized for voice searches. A significant number of voices search queries take the form, “restaurants near me” or “where’s the best place to get pizza in Dubai” or “the best place to watch falconry”. While varying widely, these queries have a common theme – they’re all local searches, looking for local options. To this end, make sure you implement local keywords to match terms that your customers might use in their queries. Or if there is a certain colloquial term like “near the stadium” that is used to describe your locality, make sure that you take that into account as well. Since most of the queries made through voice searches are in the form of questions, make sure that the content in your website can relate to terms like ‘what’, ‘why’, ‘when’ and ‘where’, and is optimized to deliver answers to questions from users. Website administrators can do this by implementing an FAQ form of content strategy that addresses questions that users are asking most often. Your content has to be adapted to match a more natural or spoken form of language. This is because the queries people type out tend to be different than the ones they speak out, even without their knowledge. While a person might search for “toaster repair places in Dubai” using their keyboard, on a voice search they might speak out,“why is the bread coming out burnt from my Philips toaster?” Your content has to be intuitive enough to understand this and show up in the results. One of the biggest implementation of voice search by the search giant, Google Home is an intelligent, responsive, voice-activated speaker that sits in a corner of your home and can do everything from play music, book movie tickets, read out recipes, turn off/on your appliances, and most of all, deliver search results. Google’s decision to take over the manufacturing and sales of the device should be interpreted as a sign of the kind of value that the company places on home assistants and the voice recognition and voice search technologies that make them possible. Considering how Google is the biggest search engine in the land, it should also be seen as a wake-up call for website administrators and SEO experts to readdress their strategies.